No More Fooling Around !!! 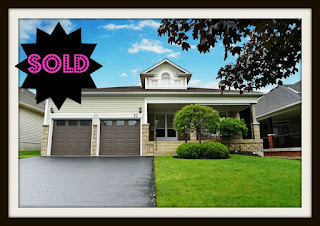 This Fabulous Bungalow In Family Friendly Brooklin Is At An Unbelievable Price And Is Looking For It's Next New Owners. Meticulously Cared For By The Original Owners. 3 Bdrm, 50' Ft Premium Lot, Double Car Garage W/Access To Laundry Room On Main Floor. Fully Fenced And Private Backyard On A Pool Sized Lot. Open Concept. Everything Is On The Main Floor. You Can't Beat This Price. Won't Last ! today! This home is waiting for you ! Call Michelle Makos at Royal Heritage for more details.